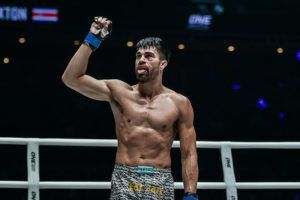 Nearly three years away from the cage didn’t seem to slow down Lowen Tynanes in his return to action at ONE: ‘Hero’s Ascent’. 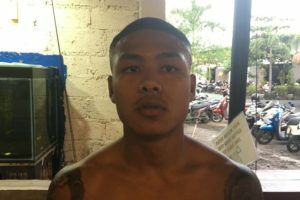 The undefeated Hawaiian ran roughshod over former ONE featherweight champion Honorio Banario in the opening round of the ONE Lightweight World Grand Prix with a stunning first round TKO. 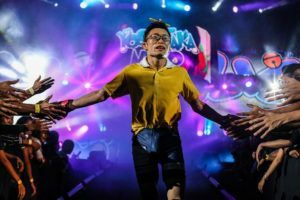 Just seconds into the opening round, Tynanes displayed his high-level wrestling by planting Banario on the ground and the Team Lakay fighter never made it back to his feet again. According to Tynanes, the fight played out even better than he had hoped. 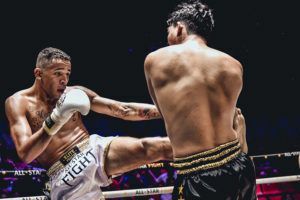 “I expected to go all three rounds,” Tynanes said following the win. 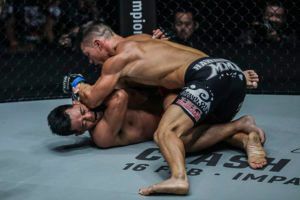 While some athletes may have been looking for a warmup fight after sitting out since 2016, Tynanes wanted none of that when he finally made his return to ONE Championship. 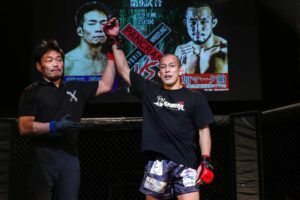 He admits the back injury that kept him sidelined had him somewhat frightened stepping into the cage that night but he was never afraid of facing a top notch opponent like Banario on his first day back. “I’ve been training for maybe about a year and a half now with my back injury. Taking that next step and stepping into the ring was my biggest fear,” Tynanes explained. 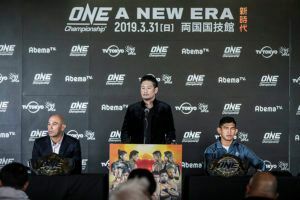 With a win under his belt, Tynanes now moves onto the semifinals of the Grand Prix tournament where he anxiously awaits the winner of the upcoming fight between former UFC and Bellator champion Eddie Alvarez and Timofey Nastyukhin, who meet on March 31st at ONE: ‘A New Era’ in Japan. Even before this tournament started, Tynanes had targeted Alvarez as his dream opponent because he considers the 35 year old veteran a legend of the sport and that’s exactly the kind of opponent he wanted in this Grand Prix. 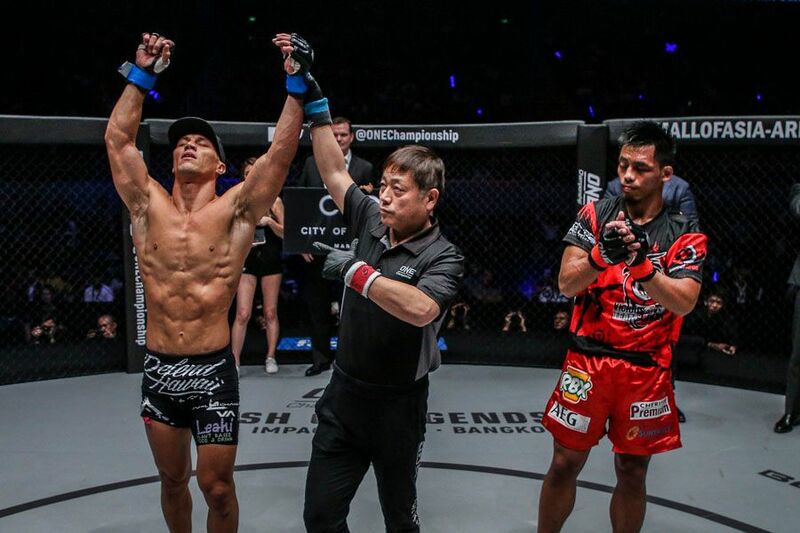 Admittedly, Tynanes was somewhat surprised ONE Championship put him on the same side of the bracket as Alvarez but that just means he has to play spoiler in the semifinals rather than the finals. “I found out on the night of the fight that he was on the same side of the bracket as me,” Tynanes explained. 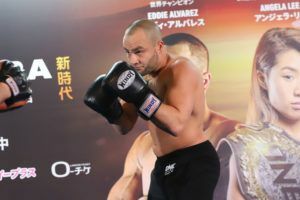 While Tynanes doesn’t discount what Nastyukhin brings to the table, he feels Alvarez will just be too much for him. 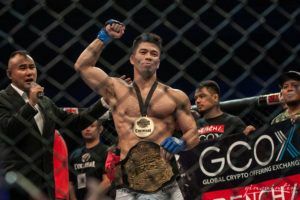 “I think Eddie will dominate,” Tynanes said. Tynanes won’t start preparing for a specific opponent until after Alvarez and Nastyukhin clash in March but he’s already back in the gym just waiting for the chance to get back into the cage again. 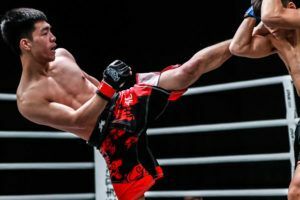 If there was one negative aspect to this entire tournament for Tynanes, it’s that he desperately wants to compete again now but may have to wait until the early part of summer to book his next fight. “I’m addicted to the gym. When something gets ripped from you, now I can’t get enough of it. I’m the first one to the gym and I’m the last one out every night,” Tynanes said.